It is time to change that. It is time to improve the current membership. 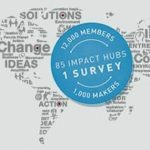 It is time for the updated Impact Hub Membership. A lot of the Impact Hub Membership experience is working fine so not all of the changes have to be radically new. We just want to add and improve elements. Currently the sense of community for most members is primarily local. We want to keep the strong local roots, yet strengthen the sense of community by adding a global layer of belonging. From a local community that is part of a global network, to a global community of local networks. Let’s repeat that sentence since it is so central: from a local community that is part of a global network, to a global community of local networks. This may sound like a natural next step, but we can assure you it is not an easy thing to implement. Each Impact Hub is an independent entity and each local community has its strengths and needs. In creating a new Impact Hub Membership we will accommodate such differences and bring us closer together. Some months ago we started a project to pilot this new membership approach. We started with five brave and pioneering pilot Hubs. Kings Cross London, Prague, Sao Paulo, Vienna and Zurich decided to invest resources to create a new Impact Hub Membership experience. For months we have been working hard behind the scenes. Now, in September 2015, it’s time to launch the first phase of this to you, our members. If all goes well, we plan to roll out this new Membership experience to all Impact Hubs in 2016. So if you are not based in any of these pilot Impact Hubs, we ask you for a little bit of patience :). You probably wonder what the changes mean for you as a member? First and foremost: instead of “just” being a Impact Hub City X member, you are now an Impact Hub member, part of our global community of 11’000 makers (and counting), based in City X. It means that even though you still have your Home Hub, you can access the services you are entitled to at home in all Impact Hubs across the world! Whether you want to visit events, use your coworking time, access virtual business opportunities or tap into the local network, it is all there. On top of that we’ve aligned our product offering across the pilot Impact Hubs meaning you will get the same core experience across Impact Hubs (during the pilot this means in the five Impact Hubs who participate). 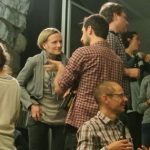 Of course local Impact Hubs can and should (and will) still innovate on top, but wherever you are, as an Impact Hub member you are getting the same core experience. In a second phase of the pilot we will roll out a new member directory making it easier for you to find Hubbers locally as well as globally, and improve the virtual engagement opportunities. To summarize, the new Impact Hub Membership will significantly improve your local membership experience and add a layer of global opportunities and belonging. And the best? You don’t have to pay a dime extra :). If your Home Hub is Kings Cross, Prague, Sao Paulo, Vienna or Zurich, you are part of a pilot until the end of 2015. As is natural in a pilot, not everything will work out perfectly. We will need your help to make this a success. Give us your feedback and share your ideas by using hashtag #ImpactHubMembership. Together we will prototype the new Impact Hub Membership Experience: thanks for joining our journey! 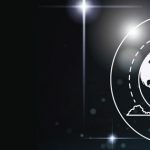 Launch of the Global Member and Maker Surveys 2016!